Golden milk, also known as turmeric tea, has been used in traditional Ayurveda for thousands of years. Known for it’s many healing and medicinal properties, golden milk gets its magic (and vibrant color) from the addition of turmeric. Turmeric is a spice you might be familiar with if you’re a fan of Indian food – it’s a common ayurvedic spice and a staple ingredient in a variety of Indian dishes. What might surprise you about turmeric, however, is the vast array of health benefits, due to it containing the compound, curcumin. 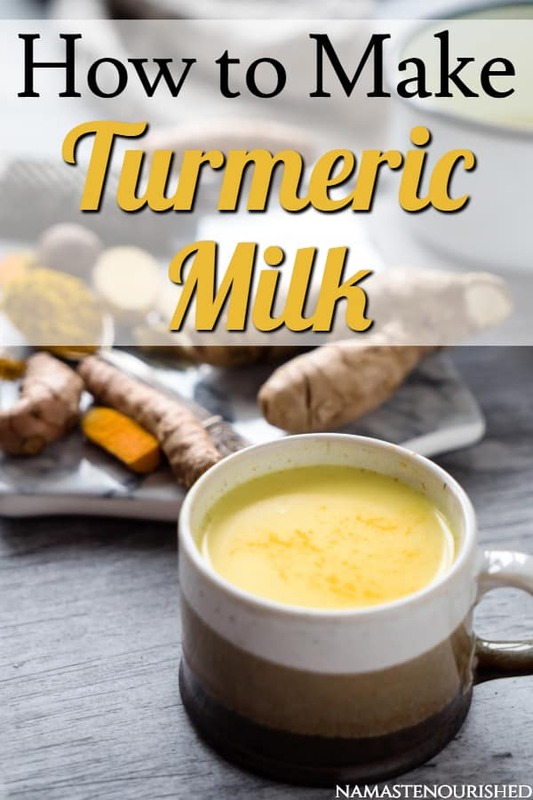 Additionally, fat can help the body absorb curcumin, which is why you might want to consider using cow’s milk in this recipe. However, if you prefer to drink almond, soy, coconut milk, etc., then that’s also totally fine – just try to choose a milk that contains fat for maximum health benefits. Pour into a small saucepan and heat gently. You’ll want it to be hot but not boiling. This turmeric tea recipe takes just minutes to make but the health benefits are incredible.